She Writes Press (Ips), 9781631523281, 320pp. Then one day, at age thirty-three, she knocks on a door--and a coworker she deeply respects answers the door. To their mutual consternation she launches into her usual spiel, but this time, for the first time ever, the message sounds hollow. In the months that follow, Curtis tries hard to overcome the doubts that spring from that doorstep encounter, knowing they could upend her "safe" existence. But ultimately, unable to reconcile her incredulity, she leaves her religion and divorces her Witness husband--a choice for which she is shunned by the entire community, including all members of her immediate family. 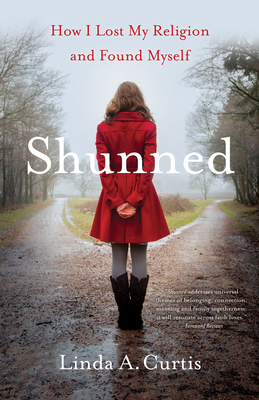 Shunned follows Linda as she steps into a world she was taught to fear and discovers what is possible when we stay true to our hearts, even when it means disappointing those we love.